The miniaturization has made great steps in the past. The reduction of the column diameter provides a range of positive aspects regarding the instruments, but non the less demands a great deal of performance and precision. 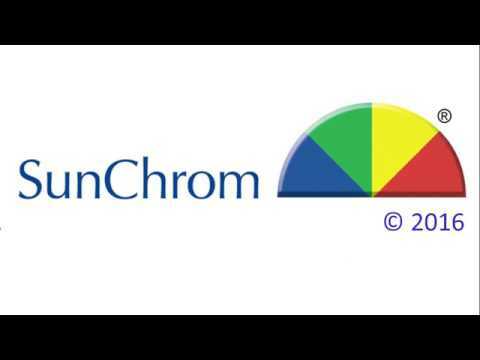 Since 1995 SunChrom is committed to this requirements and has developed a range of flow cells for nano/micro HPLC as well as the micro fraction collector and MALDI spotter SunCollect. Since 2003 SunChrom offers for the solid phase extraction NuTip® and TopTip® for the off-line sample preparation. is the outcome of 25 years of experience. This pump is working without flow splitter. The flow range provides 10 nL/min in the isocratic mode and 1 µL/min in the gradient mode. These specifications allow to use columns down to 180 µm ID directly without flow splitting. A simple and reliable flow splitter of approx. 1:10 ratio is used only for columns less than 180 µm ID. MicroPro® is delivered as binary high pressure gradient system. It can be upgraded to ternary gradient. is essential for nano or micro columns. The temperature and its stability during the analysis is very more important. Due to the very small mass of the column temperature fluctuation of the environment has quite some impact on the retention time. are exactly adjustable to the maximum of light transmission and ensure a minimum of base line noise. The SunChrom UV detector SpectraFlow 501 is equipped with special flow cells for the nano/micro systems. These cells provide 5 and 45 nL illuminated volume for an optimum separation and detection for very low analyte concentrations. Therefore the signal / noise ratio is significantly improved. is completing the nano/micro HPLC system of SunChrom. The fractions may be collected on micro well plates in order to switch to another orthogonal separation technique in the second dimension e.g. reversed phase chromatography. The eluate from nano columns can be spotted directly on any MALDI target. This MALDI matrix can be spotted before or simultaneously with the eluate and mixed and deposited on the target. The control software is extremely flexible and allows the user to program besides standard targets special target sizes as well as his own slides. The pages SunCollect and MicroPro® provide more information about these modules.